What is a Body SDS therapist? IN ADDITION TO OUR EXPERIENCED THERAPIST ENVIRONMENT AT "PARKEN" (COPENHAGEN), WE HAVE A COUNTRY-WIDE NETWORK OF AUTHORIZED THERAPISTS. Ongoing updating to include the most recent therapy techniques. ** RAB is the Danish acronym for Registered Alternative Therapist. RAB is a protected title, only to be used by therapists who meet the legal requirements for education/training, ethics, and good clinical practice. RAB is the result of a co-operation between the Danish Health Authority and the Ministry of Health. Read more. 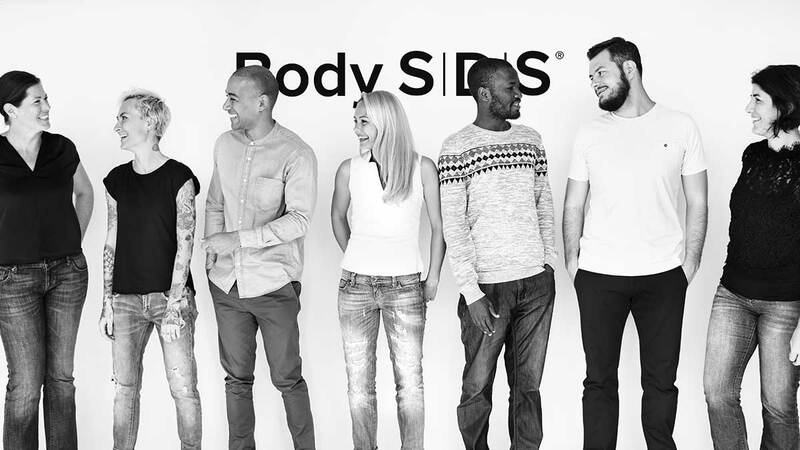 Body SDS is not subject to the Danish Authorization Act and is NOT part of the general authorization of health professionals. However, we have chosen to authorize a number of Body SDS therapists, making it easier for you, as a client, to find qualified therapy. All authorized Body SDS therapists are subject to ethical rules upon which their treatments are based. You can find the Body SDS code of ethics here. Feel free to contact us if you have any questions or find that an authorized Body SDS therapist does not comply with our code of ethics. Through our authorized Body SDS therapists we want to ensure a strong brand and a trustworthy treatment system, with a focus on highly skilled therapists. You can always find out which therapists offer Body SDS under authorization by checking out our general overview, or look out for the therapist logo on their individual websites.